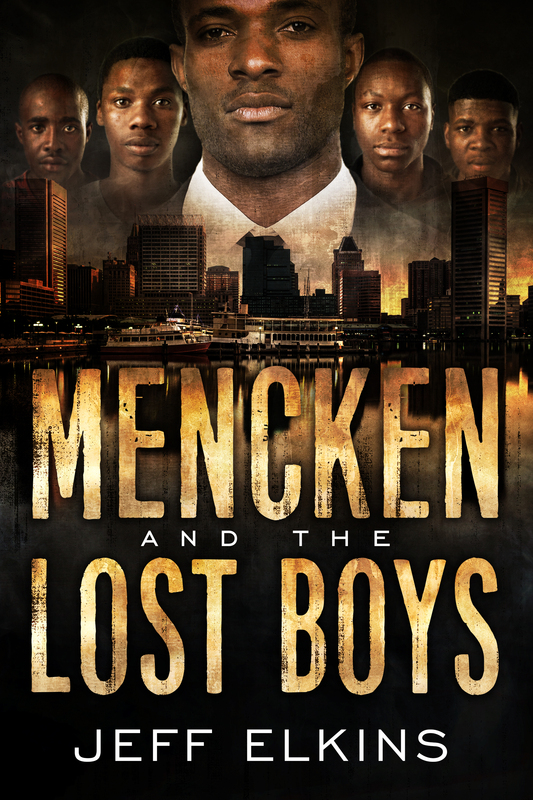 The following is a rough draft version of a chapter in my upcoming novel Mencken and the Lost Boys. I’m shooting for the novel to drop in the Fall. Please forgive typos and grammar issues. This is unedited. I’ve posted a few other chapters with Miriam. If you want to read more of the character, here is a link to one of them. Enjoy! There was no sound from the apartment. Again, there was no sound. Reaching into her purse, she pulled out her ring of keys, searched for the right one, and unlocked the door. Picking back up the bag of groceries, she pushed the door open and stepped inside. Miriam was greeted by the smell of urine and vomit. It rushed over her like a wave. Instinctively she held her breath, but that didn’t help. Knowing she had no other choice, she walked through the dark living room and turned left into the kitchen. There was pot of burnt noodles in the sink, half-filled pizza boxes on the counter, and used cups scattered all around. Opening the refrigerator loosed a new bouquet of rancid smells. Miriam removed an old milk carton and held it up to read the expiration date. Seeing it had long ago expired, she sat it on the counter. “Dad, this is disgusting,” she yelled. Looking under the sink, she found a box of trash bags. Opening one, she proceeded to fill it with the expired milk carton, an old container of cottage cheese, and what looked like it used to be pizza but was not just mold. She tried to remember the last time she’d come by as she filled the fridge with new milk, a few containers of yogurt, prepackaged lunches, apples, grapes, and four frozen dinners. She thought it’d been two weeks, but maybe it’d been three. Looking around the kitchen, with a sigh, she decided she couldn’t leave it how it was. “This is gross, Dad,” she called. From under the sink, she pulled out more trash bags and went to work. Moving through the kitchen and the living room, she filled three more bags of trash. The space was still filthy. It needed a real cleaning, but she didn’t have time for that now. She needed to get to work. Shaking her head, she opened the bedroom door. The wave of putrid smells hit her again. Moving to the left side of the room, she pulled back the curtains of the window allowing light to flood into the room. Her father was there, on the bed in a dirt soaked robe, a pool of dried vomit next to his mouth, his legs spread wide revealing all he was to the world. Miriam sat next to him on the bed and felt for his pulse. He was still alive. Miriam dropped to the floor and searched under the bed. Sweeping her hand under the frame produced four plastic bottles of vodka. Two completely empty. Two over halfway. Walking back to the kitchen, she retrieved another trash bag. “Where else, Dad?” she demanded. She moved to the bathroom on the other side of the room. The unflushed toilet wall filled with urine. Cringing, she touched the handle and sent the contents down the drain. “Don’t… Don’t take my stuff,” her father called from the other room. “Oh,” he said with disappointment. Closing his eyes again, he laid back down on the bed. “Where’s the rest of it, Dad?” Miriam asked. “That’s all of it,” he said as he rolled over on his side. Miriam opened the closet door and stepped inside. Her father’s white coat hung on the right. She rubbed her hand down the sleeve. Pulling it out, she looked at the embroidered name on the pocket, “Doctor Walker.” She didn’t remember him ever wearing it. She picked up the two full bottles on the floor and put them in the trash bag. “I put food in the fridge,” she said as she stepped back into the bedroom. “Leave the booze and go,” he said. “I’ve got to get to work, Dad. But I’ll try to be back in a few weeks,” Miriam said as she stepped toward the door. “Turn the lights off,” he said, covering his head with his pillow. “Sober up, Dad,” she said as she closed the bedroom door. Another great character introduction–first to a newer, more mature side of Miriam, and second, to Dr. Walker. Don’t let the grammatical comments below distract you from the overall good direction this chapter is headed in. I had to read it several times to find all the nits I picked. You need exclamation points after “Dad” and “Open up” in the 1st paragraph. 3rd paragraph: “apartment complex was silent” is a bit awkward; maybe something like “but no one paid her any attention” might be better. 6th paragraph: change the first sentence to an active tense: X greeted Miriam, not Miriam was greeted by X. Also, “the smell rushed over Miriam like a wave” is both stronger than and incorporates the sense of “greeted”–so delete “greeted.” Finally, “half-filled” and “used” can be either verbs or adjectives, and the reader has to pause to determine which applies here. It would be better to use “half-empty” and “dirty” to avoid the grammatical ambiguity. 8th paragraph: “unleashed” (or a synonym) rather than “loosed”, which isn’t a word. (“loosened” and “let loose” are the correct verbs, but neither really works here). And would “concatenation” or some such work better than “bouquet”? And what about combining the last phrase of the 1st sentence and the 1st phrase of the 2nd sentence by saying something like “the expiration date that had passed 3 weeks ago”–to avoid repetition and increase vividness. 4th sentence “was _now_ just mold”, not “was _not_ just mold”. 5th sentence “remember the last time she’d come by” is ambiguous–does it mean 1) “she couldn’t remember on what date she’d last come by” or 2) “she couldn’t remember what her previous experience here was like”? the last sentence makes it clear that you mean 1), but you should make your meaning clearer. 9th paragraph: “leave it _as_ it was”. Would something like “grumbled” work better than “called?” 3rd sentence: “from under the sink” at the beginning of a sentence makes it sound like Miriam is under the sink. If you just want to say that she got more trash bags from under the sink, move the phrase to after “bags”. And would “scouring” work better than “real cleaning”? 12th paragraph: 1) “putrescence” is better than “putrid smells”–have you not watched Princess Bride lately? 🙂 2)”To allow” would work better than “allowing”. 3) “dirt-soaked” is an odd phrase, since usually only liquids soak things. Would “filthy” or “food-encrusted” work better? 4) “revealing all he was to the world” is awkward. Just say that he’s naked underneath. 15th paragraph. “vodka bottles” instead of “bottles of vodka”. A vodka bottle is a bottle intended for vodka, even if it has Koolaid in it; a bottle of vodka is something that has vodka in it, even if it says “Robitussin” on the outside. Since the bottles are empty, you need “vodka bottles”. 17th paragraph. “bagged the bottles” is probably less wordy. 18th paragraph. What is a “toilet wall”? did you mean “was”? and changed “touched” to “depressed” or something a little more active. 19th paragraph. “half-empty” or “half-emptied”. 20th paragraph. Do you mean for the phrase starting “His eyes” to be a new sentence? 29th paragraph. “She said to tell you ‘Hello. '” (the quotations are how you should render it).